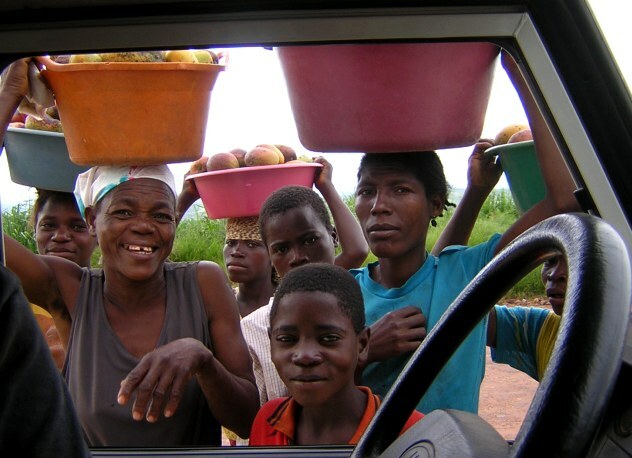 Fruit sellers along the road to Bie. The Field trip to Cuando Cubango has been postponed due to logistic difficulties. In lieu of, the Angola Field Group invites you to go Camping in Bie Province, the source of the mighty Kwanza River, September 3rd to 7th. We will drive right through the geographic center of Angola and stop for fotos at the little known Cristo Rei statue there. We’ll proceed on to Umpulo and camp at the edge of a miombo woodlands that spreads undisturbed east and south of here. This is as close to the source of the Kwanza River one can get by road. Enroute we will tour the capital, Kuito, the city hit the hardest during the civil war. 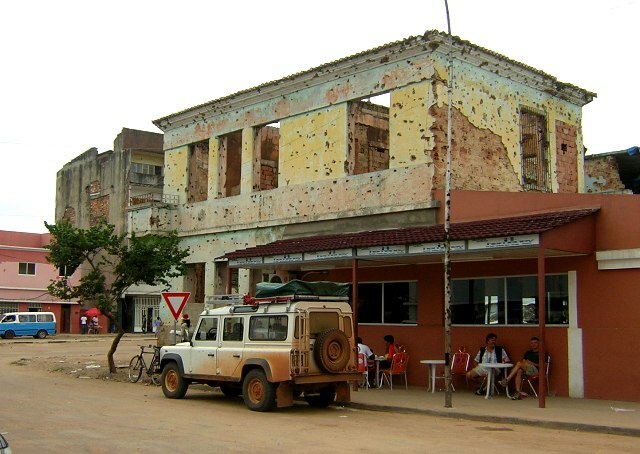 We will also visit Dondi, once the largest mission station in Angola where many prominent Angolans were educated. 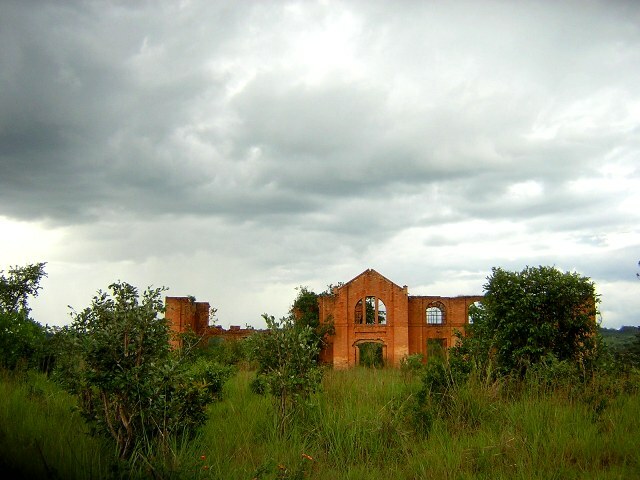 Dondi, once the largest mission in Angola, lays abandoned. Friday: September 3rd, depart Luanda at 12 noon (earlier if possible) and arrive in Huambo 9 hours later. Monday: Drive back to Huambo and enroute tour Kuito with local guide who endured the 9 month siege during the war. Time permitting shop at Natural Medicine shop run by community. Friday and Monday night we will be accommodated in a homestay run by our guide/host, who will also be providing meals while camping. Cost will be on a per person basis. You are responsible for your own tent, sleeping gear and water. Kuito’s downtown was nothing but bullet ridden buildings but today reconstruction is in evidence everywhere.